blog friends and met in that show. 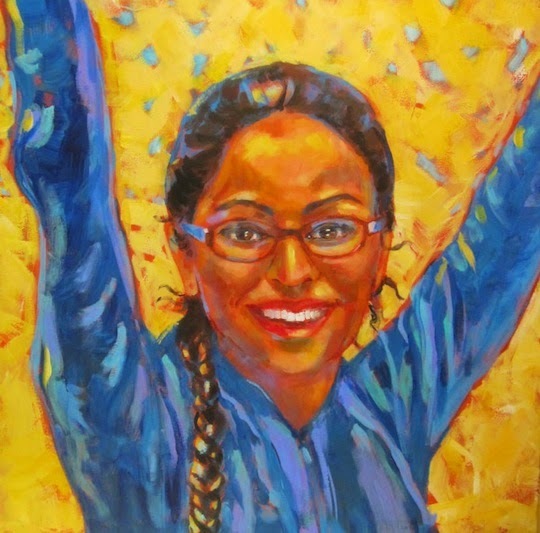 This is such a powerful and joyous painting Barbara! It says it all! It does. At the time I did it I was teaching students the whoop exercise. It made them so happy -- just the action of putting their arms in the air and expressing joy. Thanks to Amy Cuddy and Mike Dooley for that information.